STIJL Advocaten takes its responsibility for the effects of its business operations on people and the environment extremely serious. It is our ambition to operate in a sustainable and climate-neutral way. We make our employees aware of their responsibility in this respect and we closely follow the developments in the field of sustainability. We adjust our sustainability policy, if necessary. 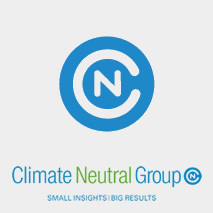 Climate Neutral Group (CNG) maps our CO2 emissions. STIJL Advocaten has opted for compensation on the basis of 100% Gold Standard Coocking Stove credits. This compensates for the CO2 footprint of STIJL Advocaten. Click here for a link to the certificate. Apart from the advantages for the climate, the Gold Standard also wants to contribute to the sustainable development of local communities. We contribute to the so-called Coocking Stove project in Kenya. The efficient combustion of these stoves allows to minimise the use of wood, to reduce the CO2 emissions and to virtually or completely eliminate smoke development. The reduction of CO2 emissions results in CO2 credits, which render the financing of this project possible. Click for a link to a short film about this project and click here to go to the webpage of CNG. Additionally, STIJL Advocaten makes all possible efforts for achieving the most efficient and sustainable use of energy, paper, ink and other office supplies. For instance, our firm is equipped with light sensors and we implement a sustainable purchase policy for the purchase of food products and all other office supplies. STIJL Advocaten is proud to make a contribution to the cultural activities in the Netherlands. In this context, we entered into a cooperation with the Gemeentemuseum Den Haag (Municipal Museum The Hague) and we are partner of the permanent exhibition: ‘Mondriaan & De STIJL; the permanent home base for De STIJL in the Netherlands’. 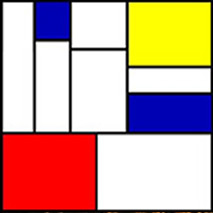 The Mondriaan collection in the Gemeentemuseum Den Haag is unique in the world and comprises almost 300 works. It covers all stages of the impressive career of this master of modern art. STIJL Advocaten feels very connected to ‘De STIJL & Mondriaan’ as the largest architectural movement ever seen in the Netherlands. Click here to go to the webpage of the Gemeentemuseum Den Haag. For more information, please contact: Taco Hovius, hovius@stijladvocaten.nl, 020 346 9980. The well-being of our employees and a healthy working environment is an important issue at Stijl Advocaten. Therefore, we order fresh fruit baskets at Fruitful Office weekly. Fruitful Office believes that fresh fruit increases the quality of life at work and at the same time introduces a sustainable and honest society. For example, Fruitful Office plants one fruit tree in Malawi (Africa) for every fruit basket delivered. By ordering fruit baskets at Fruitful Office, 25 fruit trees have been planted in Malawi in the period January to March 2017. Our fruit consumption in 2016 has resulted in the planting of 103 fruit trees! For more information, see the Fruitful Office website.